Seattle: See Jacob Lawrence: The Migration Series at SAM For Free This Weekend! For the first time in more than two decades on the West Coast, all 60 panels of Jacob Lawrence's masterwork The Migration Series - depicting the exodus of African Americans from the rural south between World War I and World War II - will be shown in its entirety. Presented in commemoration of the 100th anniversary of Lawrence's birth, the exhibition is made possible thanks to a major loan from The Museum of Modern Art in New York (MoMA) and The Phillips Collection in Washington, D.C., and will be exhibited in the museum's Gwendolyn Knight & Jacob Lawrence Gallery. 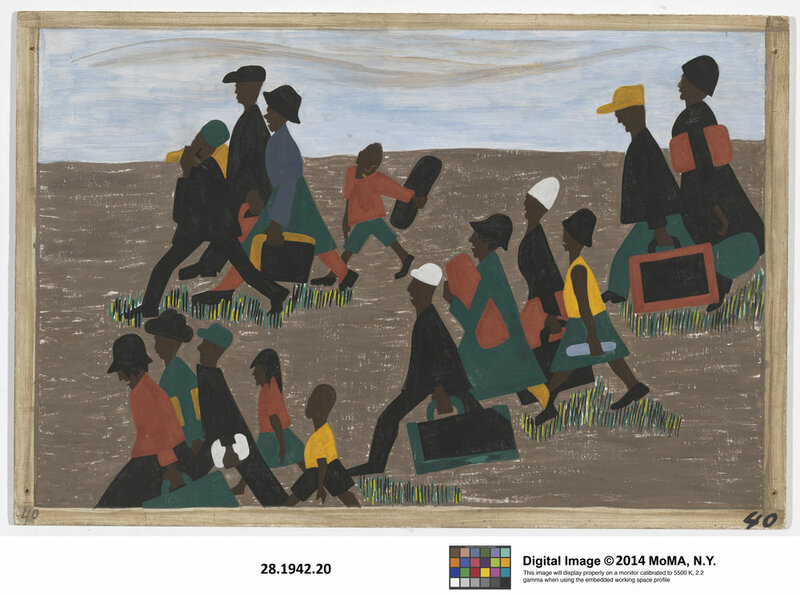 This weekend is a great time to check out the Jacob Lawrence: The Migration Series exhibit! On Friday, January 20; Saturday, January 21; and Sunday, January 22, the Seattle Art Museum will be FREE to the public for Three-Day Free Day at SAM. The entire community is invited to SAM’s downtown location to enjoy and connect with the diverse art and ideas represented in our collection and to see the amazing new exhibition. Friday – Sunday: 10:00 a.m. – 5:00 p.m.